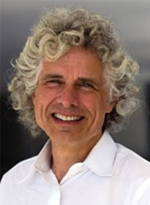 On September 29, 2014, we had a Q&A call with cognitive scientist and best selling author, Steven Pinker, Johnstone Family Professor in the Department of Psychology at Harvard University and internationally-known author of a dozen books including–coming September 30th–The Sense of Style: The Thinking Person’s Guide to Writing in the 21st Century. mind to the challenge of crafting clear, coherent, and stylish prose. The Sense of Style: The Thinking Person’s guide to Writing in the 21st Century: A short and entertaining book on the modern art of writing well by New York Times bestselling author Steven Pinker. Why is so much writing so bad, and how do we make it better? Is the English language being corrupted by texting and social media? And can the insights of cognitive psychology empower our own writing? What makes writing good, how do we get better at it, and what difference would that make to our readers? What are current language guidelines, and have dictionaries abandoned their responsibility to safeguard correct usage? Should we bring back the lost art of diagramming sentences? Do the kids today even care about good writing? Why should any of us care? What are the best approaches to enhancing the clarity of our writing, achieving a graceful and personal style, and truly engaging our readers? 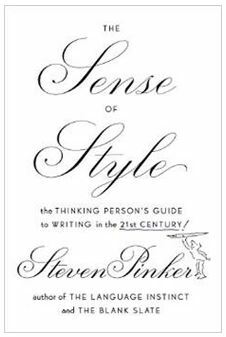 Steven Pinker, PhD, the New York Times-bestselling author, linguist, cognitive scientist, and chair of the Usage Panel of The American Heritage Dictionary, answers these questions and more in The Sense of Style: The Thinking Person’s Guide to Writing in the 21st Century. 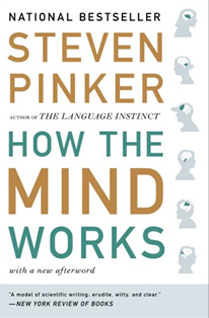 Here Pinker applies insights from the sciences of language and the mind to the challenge of crafting clear, coherent, and stylish prose. In the process he has created an updated guide that is responsive to changes in the way we communicate and in language itself as it has evolved. Don’t blame the Internet or the kids today, Pinker says: good writing has always been difficult. Rather than moaning about the decline of the language, carping over pet peeves, or recycling spurious edicts from the rulebooks of a century ago, he replaces dogma about usage with reason and evidence, and allows writers and editors to apply general “rules” or guidelines judiciously rather than robotically–by being mindful of what the guidelines are designed to accomplish. 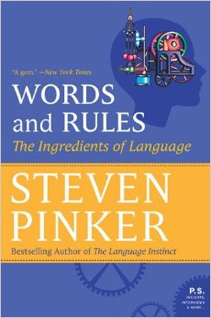 Using his irreverent wit and gift for making difficult ideas accessible to a wide audience, Pinker shows readers how good writing depends on imagination, empathy, coherence, grammatical insight, and an ability to savor and reverse-engineer the good prose of others through attentive reading. It also requires us to reorient our perspective and overcome what he calls the “Curse of Knowledge”–the difficulty we all have in imagining what it’s like not to know something we know. Filled with examples of both great and gruesome modern prose and without the scolding tone and rigid rules of classic writing manuals, The Sense of Style shows how the art of writing can be a form of pleasurable mastery and a fascinating intellectual topic in its own right. Entertaining, practical, and filled with surprises, this book makes the ability to write better English available to all. The Sense of Style is for writers of all kinds, and for readers who are interested in letters and literature and curious about the ways in which the sciences of mind can illuminate how language works at its best. 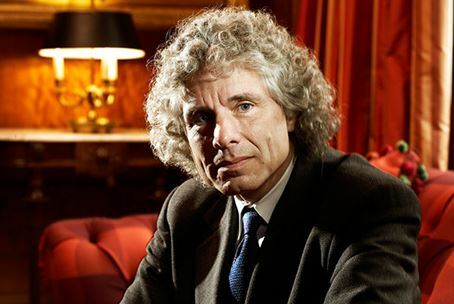 Steven Pinker earned his bachelor’s degree in experimental psychology at McGill University and then moved to Cambridge, Massachusetts in 1976, where he has spent most of his career bouncing back and forth between Harvard and MIT. He earned his doctorate at Harvard in 1979, followed by a postdoctoral fellowship at MIT, a one-year stint as an assistant professor at Harvard, and in 1982, a move back to MIT that lasted until 2003, when he returned to Harvard. Currently he is Harvard College Professor and the Johnstone Family Professor in the Department of Psychology. He also has spent two years in California: in 1981-82, when he was an assistant professor at Stanford, and in 1995-96, when he spent a sabbatical year at the University of California, Santa Barbara. As an experimental psychologist interested in all aspects of language and the mind, Steve’s initial research was in visual cognition, the ability to imagine shapes, recognize faces and objects, and direct attention within the visual field. Beginning in graduate school he cultivated his interest in language, particularly language development in children, and this topic eventually took over his research activities. Along with experimental papers in language and visual cognition, he wrote two fairly technical books early in his career on children’s acquisition of words and grammatical structures, and on processes involved in the development of language, specifically verbs. He has also studied language development in twins and the neuroimaging of language processes in the brain, and has recently begun researching the nature of reminding and the function of innuendo and other forms of indirect speech. In 1994, Steve published the first of five books written for general audiences. 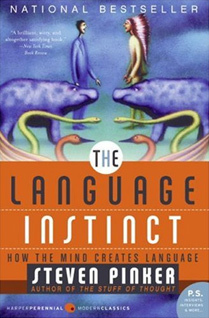 The Language Instinct was an introduction to all aspects of language, held together by the idea that language is a biological adaptation. This was followed in 1997 by How the Mind Works, which offered a similar synthesis of the rest of the mind, from vision and reasoning to the emotions, humor, and art. He was drawn to the field of cognitive science and served as director of the MIT Center for Cognitive Neuroscience from 1994-99. In 1999 he published Words and Rules: The Ingredients of Language which presented his research on regular and irregular verbs as a way of explaining how language works in general. In 2002 he published The Blank Slate: The Modern Denial of Human Nature, which explored the political, moral, and emotional colorings of the concept of human nature. 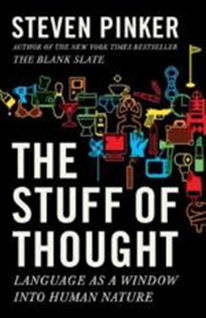 The Stuff of Thought: Language as a Window into Human Nature, published in 2007, discussed the ways in which language reveals our thoughts, emotions, and social relationships. 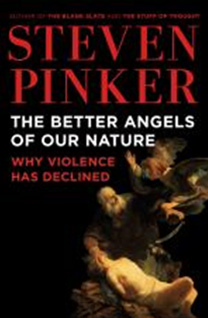 In 2011, he published The Better Angels of Our Nature: Why Violence Has Declined, Pinker frequently writes for The New York Times, Time, The New Republic, and other magazines on subjects such as language and politics, the neural basis of consciousness, and the genetic enhancement of human beings. Steve is the Chair of the Usage Panel of The American Heritage Dictionary and has served as editor, advisor or Board member of numerous journals for psychology and linguistics and for scientific, scholarly, media, and humanist organizations, including the American Association the Advancement of Science, the National Science Foundation, the American Academy of Arts and Sciences, the American Psychological Association, and the Linguistics Society of America. Steve has earned awards for his research, including the Troland Research Prize from the National Academy of Sciences, the Early Career Award from the American Psychological Association, and the Henry Dale Prize from the Royal Institution of Great Britain), and for his graduate and undergraduate teaching. Steve’s books have brought much acclaim and numerous prizes (including the William James Book Prize three times, the Los Angeles Times Science Book Prize, and the Eleanor Maccoby Book Prize). He is also a Humanist Laureate, the 2006 Humanist of the Year, recipient of the 2008 Innovations for Humanity Award from La Ciudad de las Ideas in Mexico, the 2008 Honorary President of the Canadian Psychological Association, and the recipient of seven honorary doctorates. Steve’s grandparents emigrated from Poland and Moldavia to Canada in 1926, where they forged careers in the garment industry. Steve grew up in a warm Jewish home in Montreal. His early interest in visual representation and design is manifested now in his portfolio of outstanding photographic art. He lives in Boston and in Truro with his wife, novelist and philosopher Rebecca Newberger Goldstein. Other authors in the family are Steve’s sister Susan Pinker and Rebecca’s daughters, novelist Yael Goldstein Love and poet Danielle Blau. Steve and his wife, novelist and philosopher Rebecca Newberger Goldstein, reading at home. 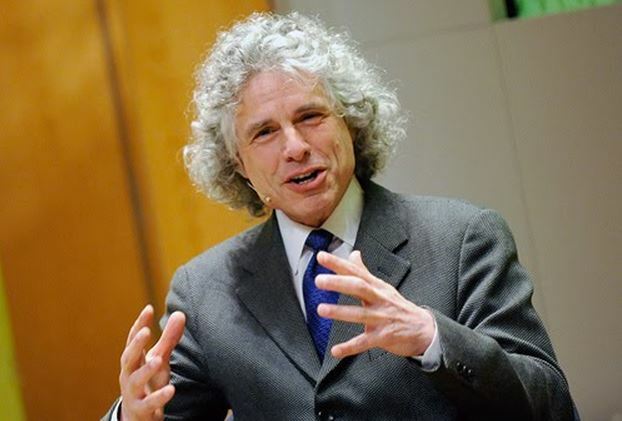 In Depth with Steven Pinker (C-SPAN Book tv video–2:57). Steve talks about his life and career. The video also includes a visit to his Boston home, seeing his study (1:09), talking about his wife, Rebecca Goldstein (1:25:47), visiting their library (2:05), his method of using cubes instead of book shelves, and his photography. Academic publications, extensive listing by year. This link also includes articles in popular media. A Way With Words, New Scientist, July 5, 2008. This Much I Know, The Observer, June 22, 2008. The Man Who Swears by Science, The Times, Oct. 20, 2007. Steven Pinker Knows What’s Going on Inside Your Head, Sunday Times, Oct. 13, 2007. 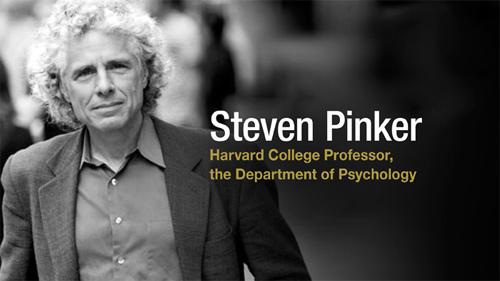 How Steven Pinker Works, The Harvard Crimson , November 4, 2005. Mind of a Teacher, The Guardian, June 24, 2003. Darwin on the Mind, Jerusalem Post, May 2003. Harvard raids MIT for eminent professor, Boston Globe, April 4, 2003. Biology vs. the Blank Slate, Reason, Oct. 2002. We are who we are or are we? USA Today, Oct. 3, 2002. Haven’t you heard? It’s in the Genes, The Guardian, Sept. 25, 2002. Questions for Steven Pinker, New York Times Magazine, Sept. 15, 2002. Interview by John Koch, Boston Globe Sunday Magazine, Jan 23, 2000. 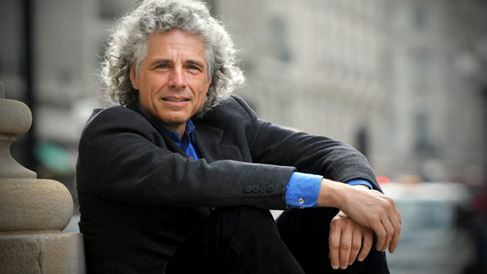 Steven Pinker: The Mind Reader, profile in The Guardian, November 6, 1999. Pinker on the Brain, profile in Scientific American, July 1999. “Language as a Window into Human Nature” a fascinating animated video done in connection with The Stuff of Thought, delivered at the Royal Society of Arts. About 10 minutes.